If you’re a fan of hockey, and more specifically UMD hockey, it’s likely you’ve heard the name Huffer Christiansen, and more than once. Huffer Christiansen, born Keith Christiansen, is a former UMD men’s hockey player and a former Fighting Saint player. Huffer passed away on Monday Nov. 5 at the age of 74, but Huffer’s legacy still lives on at UMD. 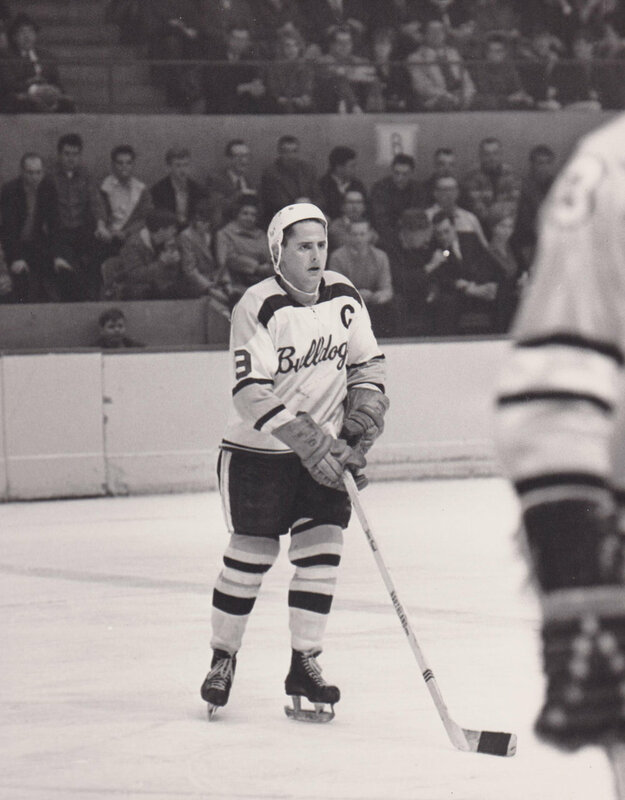 Huffer played for the Bulldogs from 1963-1967, and he made sure to leave a mark on both UMD and UMD athletics. Huffer was the first player to ever have his jersey retired. He played a huge role in moving the Bulldogs into the division one team they are today. UMD’s assistant athletics director of communications Robert Nygaard said that one of his regrets was that he was too young and never got to watch Huffer play. “I don’t think there is any doubt, and this isn’t a hyperbole, any doubt that in the history of this hockey program, and maybe this athletic program, that there was any one individual that had more of an impact during his time than Huffer Christiansen,” Nygaard said. Part of Huffer’s legacy was his ability to lead both on and off the ice. Huffer was a team player who cared about the game and his team. “He was a captain his senior year, he was one that people said lead both on and off the ice and one that I think had the ability to have players want to emulate him,” Nygaard said. Huffer continued his commitment to UMD years after graduating. Josh Berlo, UMD’s director of intercollegiate athletics, spoke of Huffer’s support for the Bulldogs years after he hung up his skates. Huffer was part of UMD’s alumni committee as well as the number retirement committee. He made sure to stay connected to the school and to help his teammates and those who came after him to stay connected too. Patrick Francisco played alongside Huffer all four years. From day one Francisco was placed on Huffer’s line, and he never came off. Francisco played as a wing, meaning his job was to stay out of Huffer’s way. Francisco believes Huffer was a super talent and was talented not only in his hockey skills. Huffer left behind a legacy at UMD. He was kind to his teammates and those around him and he was passionate about the game. Although Huffer was an amazing talent athletically, Francisco and Huffer’s other teammates will remember him for who he was off of the ice just as much as they will remember him for who he was on the ice. “He gave back, just like I’d say he played, with everything he had,” Berlo said.